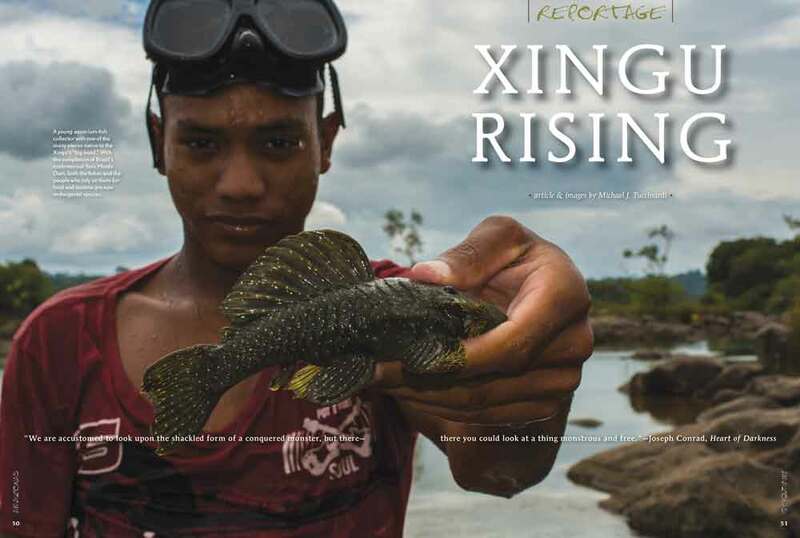 It’s in the mail: cover of AMAZONAS Magazine, Volume 5, Number 3. On the cover from top to bottom, Austrolebias arachan (image by R. Pohlmann), Moema quii (image by L. Peck), and Rachovia pyropunctata (image by F. Vermuelen). 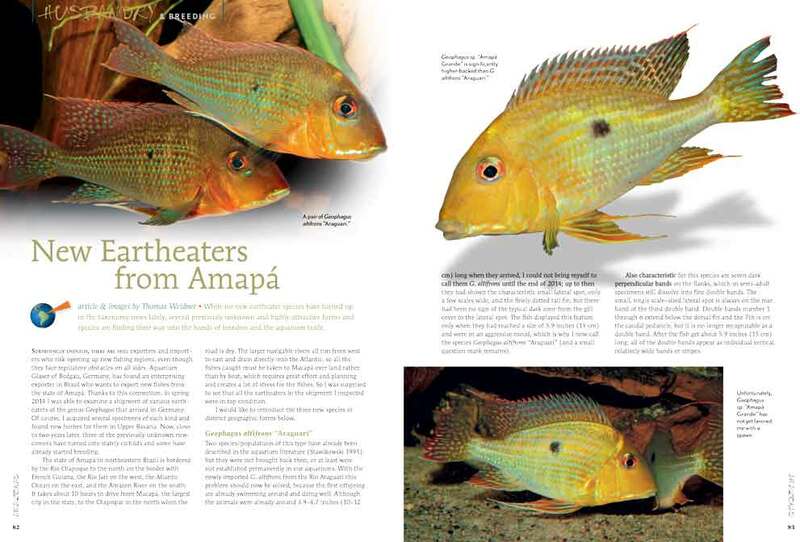 The May/June 2016 Issue of AMAZONAS Magazine is printed and now delivering to print magazine subscribers, local aquarium shops, and better bookstores. Paid subscribers can log in with their email addresses for instant access. 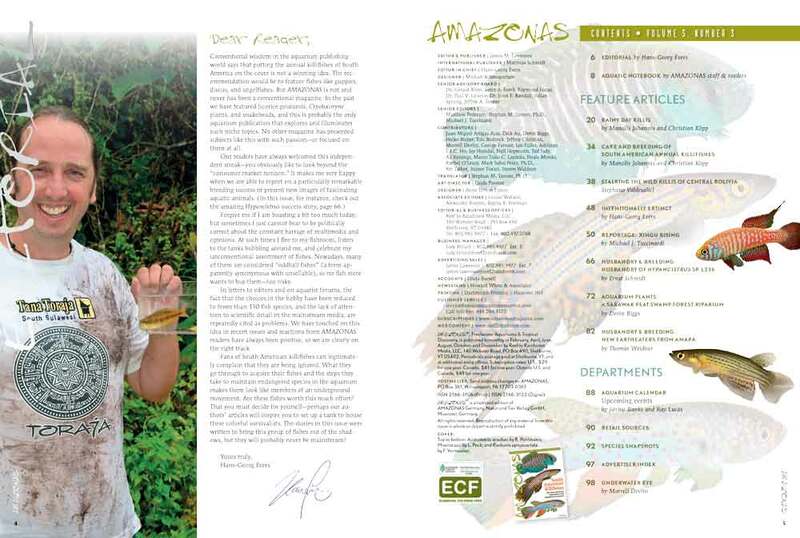 The AMAZONAS Digital version is available for desktop and laptop computers. 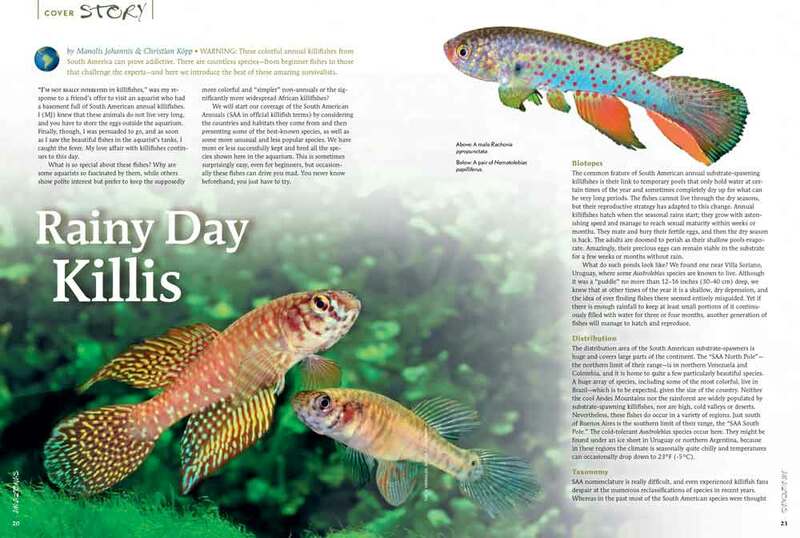 “Fans of South American killifishes can legitimately complain that they are being ignored. What they go through to acquire their fishes and the steps they take to maintain endangered species in the aquarium makes them look like members of an underground movement. Are these fishes worth this much effort? That you must decide for yourself—perhaps our authors’ articles will inspire you…” – Opening words from Hans-George Evers as we kick off the latest issue! 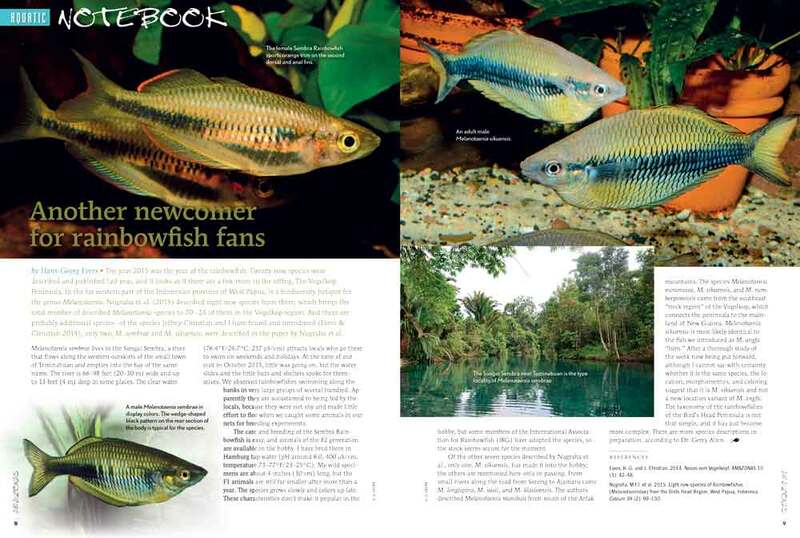 A new Aquatic Notebook starts off with the introduction of the Sembra River Rainbowfish, Melanotaenia sembrae. We also introduce a White strain Hypancistrus sp. L236, and the description of a new Severum species, Heros liberifer. 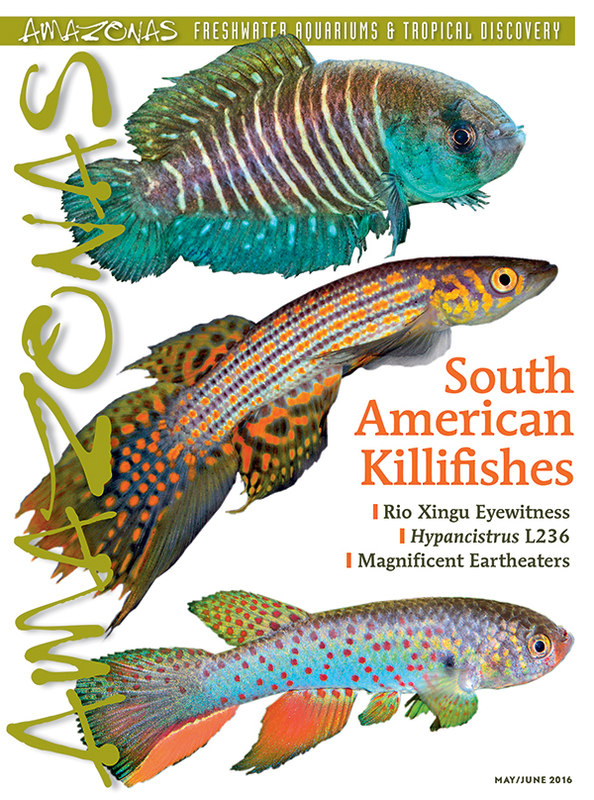 “Rainy Day Killis” by Manolis Johannis and Christian Köpp kicks off the cover features, introducing the South American Annual (SAA) Killifishes. 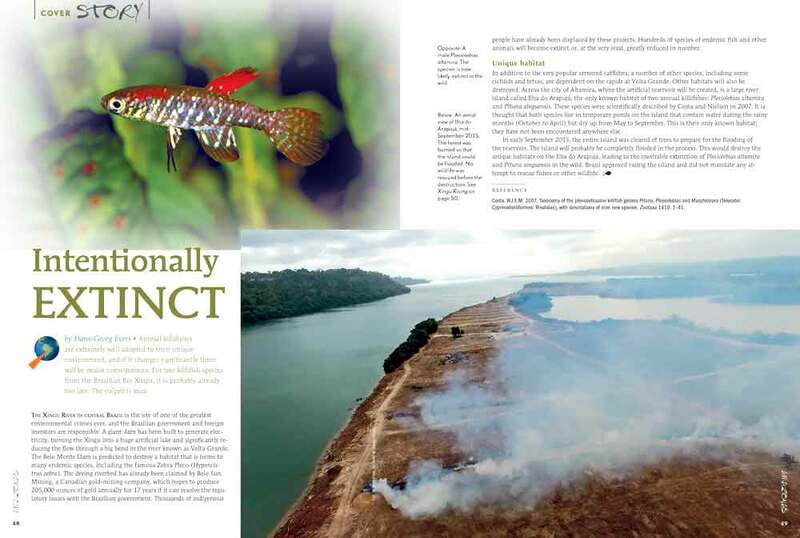 Hans-Georg Evers illuminates the tragic plight of two Killifish species only described in 2007, and now likely wiped out by intentional deforestation for the Belo Monte Dam. 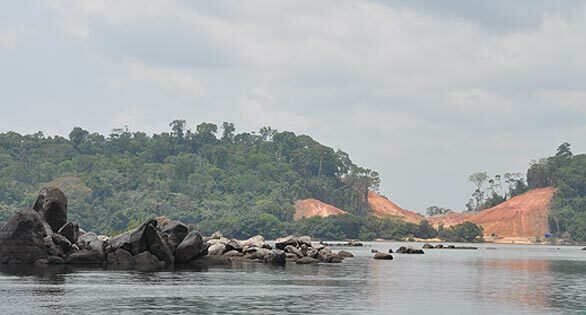 “With the completion of Brazil’s controversial Belo Monte Dam, both the fishes and the people who rely on them are now endangered species.” – Senior Editor Michael J. Tuccinardi writes after making his way to the site of what is considered one of the environmental horror stories of this new century. He found the dam going into operation, and the fishing community not sure what the future may bring. 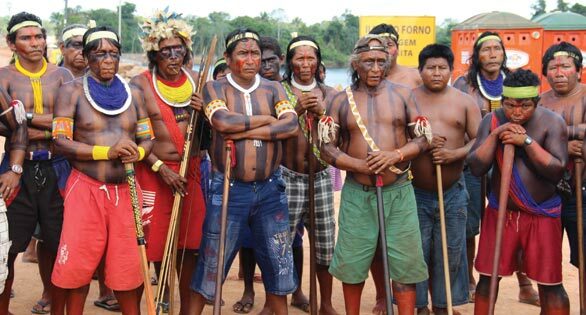 Exclusive Report to AMAZONAS READERS. 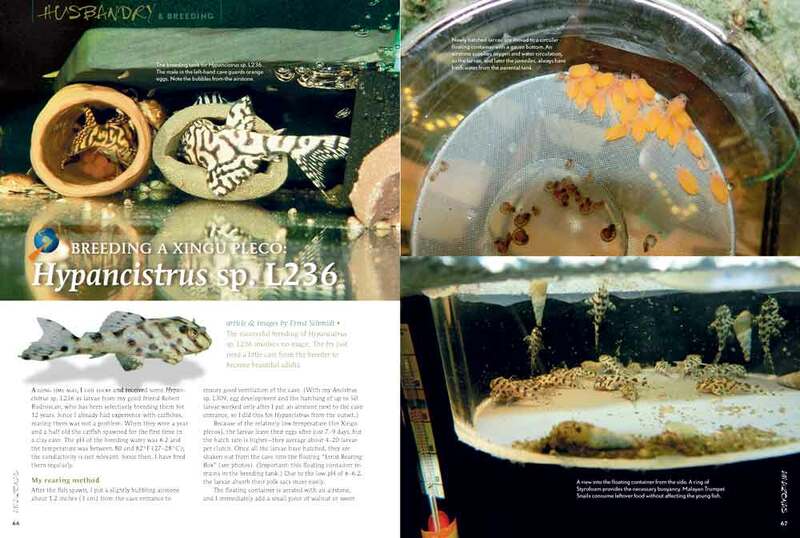 For the pleco lovers in all of us, Ernst Schmidt reports on the breeding of the beautiful and variable Hypancistrus sp. L236. 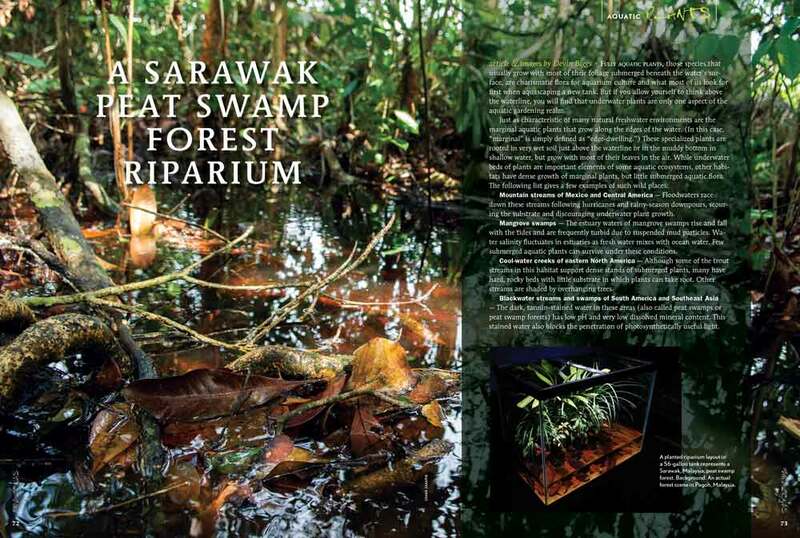 Devin Biggs is back again with a Sarawak blackwater biotope in a riparium featuring marginal plants—a perfect setup for wild Bettas and other fishes of the quiet swamps. Thomas Weidner examines several previously unknown and highly attractive Eartheaters from the Brazilian state of Amapá. 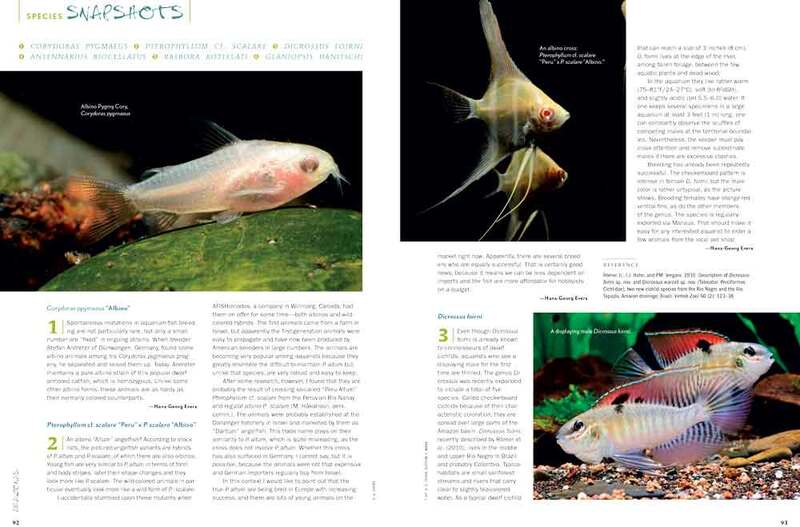 This issue’s “Species Snapshots” covers albino Corydoras pigmaeus; a look at the “albino Altums” showing up in the aquarium trade; an offbeat Checkerboard Cichlid species, Dicrossus foirni; a Frogfish / Angler almost more familiar to saltwater enthusiasts but found in brackish and freshwater habitats, Antennarius biocellatus; a large, metallic red Rasbora, Rasbora kottelati; and a stream loach not yet seen in the trade, Glaniopsis hanitschi.